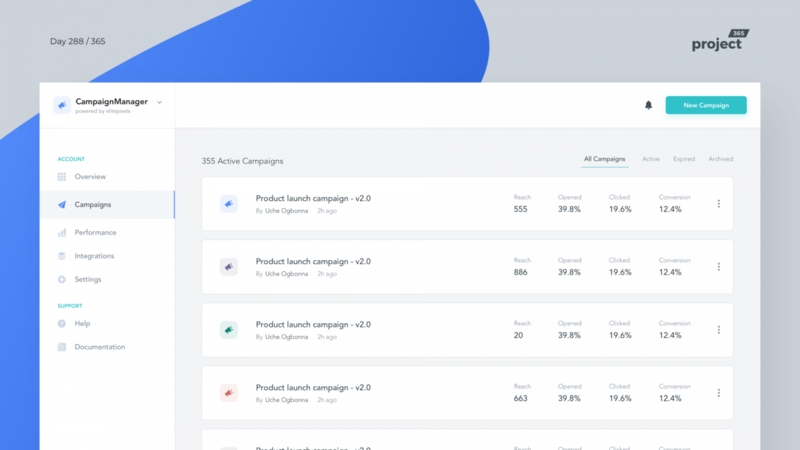 Brief: To design a minimalistic e-mail marketing campaigns dashboard. Here’s a minimalistic SaaS UI for e-mail marketing. 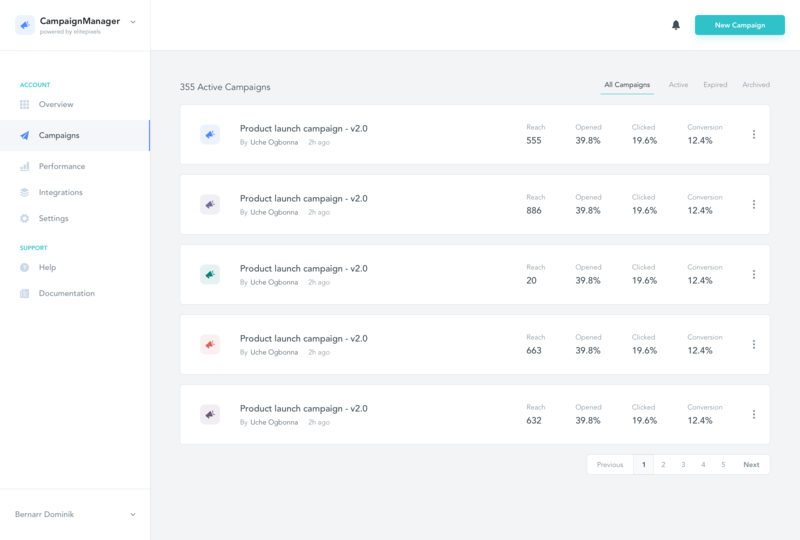 Basically a simple campaigns page, which allows you to get a brief look at all your e-mails and the vital statistics that go along with it. All in ultra minimalistic fashion.